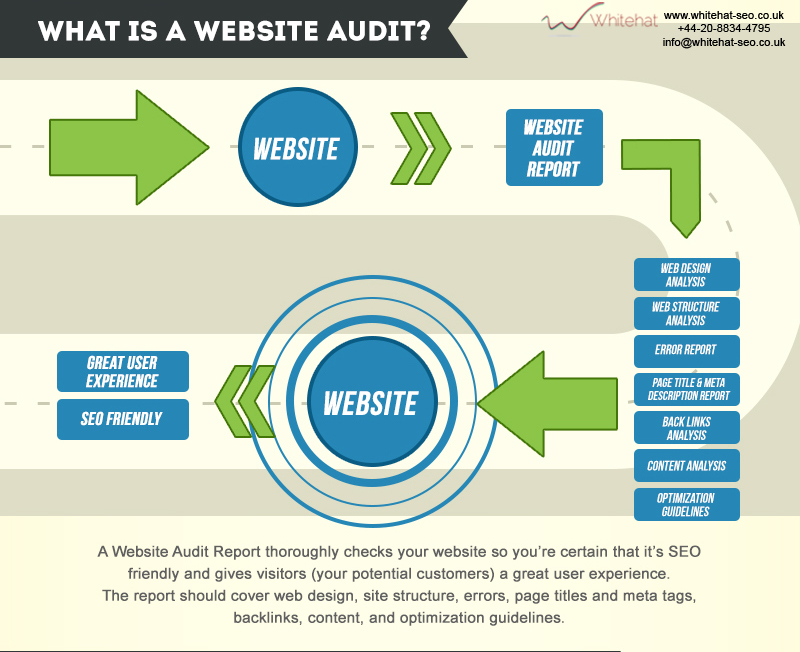 What is a SEO Audit? What is an SEO audit anyways? What separates a SEO agency from a freelance student? Let’s be honest, a website is never finished. No matter how great it might look, how fast it might load, and no matter how engaging the content is, the fact remains a website is never finished. The worst part is you might have all of the above, but for whatever reason, you still are not getting the traffic to your site that you want to see. This is where an SEO audit can be very valuable. If you currently have a site and you have been thinking of giving it a facelift or even a total redesign you should strongly consider an SEO audit. If you are unaware of what might be causing your site to not bring in any new customers have a professional SEO company audit your website before consulting a web designer. You might be leaving valuable information behind if not. Designers are trained to make things look great, but often have little knowledge of how Google works behind the scenes. A SEO audit is simply an evaluation of your website and how it can be improved through Search Engine Optimization. By improving the SEO behind your website you will attract more visitors and more business. An SEO audit can be very in-depth collecting all the data you may have within Google analytics or some other data collecting method on your site, to more simplistic such as evaluating the actual look of the site. An audit includes parts of the site that are displayed through the browser and includes things that the average web surfer doesn’t really know about. A proper SEO audit will uncover any bad practices, errors, and missed opportunities. It will provide a list of actions that should be addressed to improve the performance of your site. Everything from optimized images, tags and attributes in appropriate places, meta details, favicons, and these are just some on-site issues that can be found in an audit. With resources like W3 schools and even YouTube many people feel they can build a website, and truthfully, they can; however, to build a website fully optimized to meet many different criteria to ensure peak performance can be a challenge and separates the casual coder from the pros. To build a desk may not be all that hard. Some wood, screws, and a few hand tools should do it. You may end up with something that wobbles a bit when you lean on it and you may not trust putting a computer on it, but it’s a desk. Now consider a proper woodworker making proper cuts to connect the wood better, using brackets and other tools to create a great stable desk that you can put a computer from 1985 on. This is usually the difference between the single part-time freelancer who learned how to build a site over a weekend and professionals from an agency, development company or the full-time freelancer. Many businesses rely on the internet for many different reasons. Do you want that wonky slow site? Or do you want something that loads fast and engages your traffic and encourages them to convert towards your goal? Many designers do not factor in load times and some don’t even know how to check this. If a site takes more than 3 seconds to load, the person trying to come to your site is most likely going to leave and probably never return. What’s even worse is when there are things that are working great on your site and the redesign takes out those elements, without a proper audit you could inadvertently upset people who have been loyal to your site and are now left with a bitter taste in their mouths because of something that was moved or taken away from the site. It’s easy to get caught up in doing a redesign, it’s fun and exciting to get something new, but don’t throw the baby out with the bath water. Keep what’s working and improve upon that. Much like the auto industry a make and model of a car might look the same on the outside from one year to the next and only changing some small details or adding new features to improve it and only go through a massive change every 4 or 5 years where the cycle starts again. There are definitely times when a complete redesign might be in order, but, this doesn’t mean every time you update your website you have to change the colour scheme or have a new font. Just throwing ideas on the wall and seeing what sticks can be a timely and costly thing to do. Having a proper audit will help ensure a successful campaign, most audits are even free so there is little to lose and much to gain. By getting a team with different backgrounds in marketing, sales, development, and design are far more effective than a single person’s approach. Michael Jordan and Wayne Gretzky are probably some of the top names in sports but still needed a team to help them reach the level of excellence they achieved. Having a team looking at different aspects of your website and general web presences is the key. Because having a website that is hard to navigate through but looks amazing will hurt. On the flip side having the fastest loading site with little content also can have a negative effect. How often should you have an audit? Simply getting an audit and new design made is a good short-term plan. Sure, it’s better than no audit at all; however, remember search engines are constantly changing and updating their algorithms, updates to Webmaster Guidelines could make a current site become uncompliant with these terms. SEO from this year will be different next year, outdated content on your site and clean up any backlinks that may be toxic to your site. If you work with an agency they should be constantly on the lookout such things. They will make sure that your site always stays W3C compliant, adhere to any new updates, and make sure there are no 404 errors on your site. Remember your site only has strong as the weakest link. I am a creative and energetic professional who always expects to deliver the best practices, techniques, concepts and ideas to build interactive experiences. With a background in sales and digital marketing, alongside my development and design skill’s I can bring ideas to life.